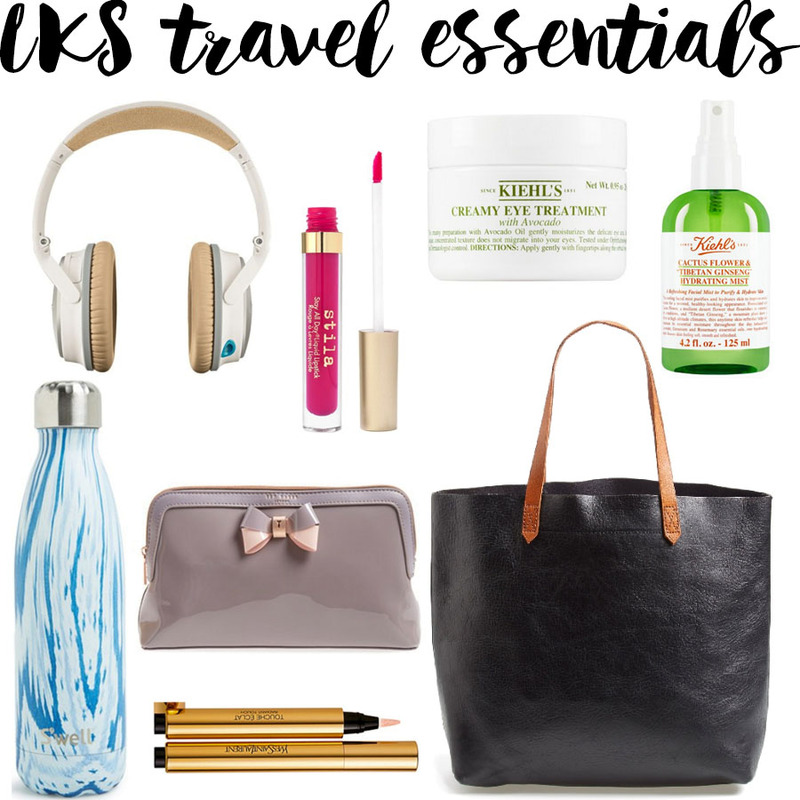 Like I mentioned in yesterday’s post, July-September involves alot of traveling for us, so I wanted to round up a few of my travel essentials for y’all today! I am by no means a travel pro, but these are a few things that I NEVER go on a trip without. 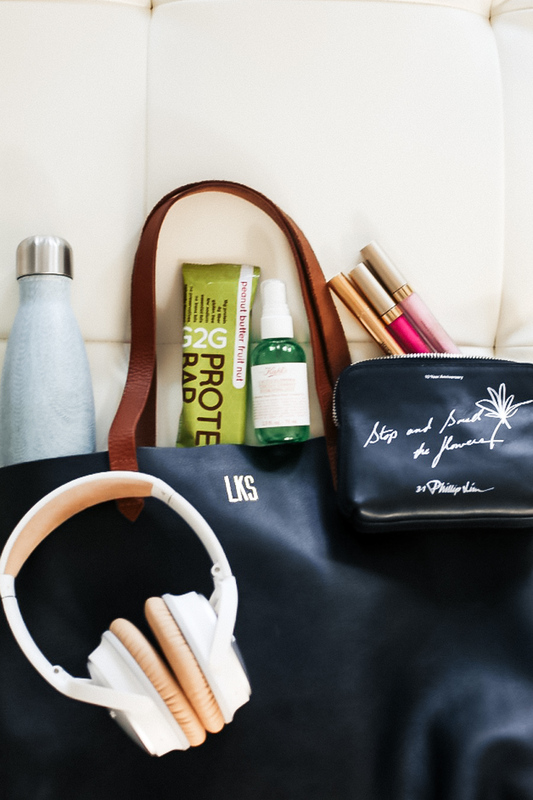 All of these travel essentials are things that help me stay healthy, organized, sane, and feeling my best when traveling, and I’ll explain why for each product! Michael got me these headphones as a Valentine’s Day gift last year and I’ve been so surprised at HOW much I’ve used them – for traveling, working at coffee shops, and so much more. (I actually got Michael this bluetooth pair as an early birthday gift because I loved mine so much, and knew he would too!) They’re not cheap but if you fly even semi frequently, they are SO worth it! I never understood the hype behind noise cancelling headphones until I tried. these. It makes the flight so much better because you can truly block out crying babies, the noisy sound of the engine, or the obnoxious conversation going on behind you you really don’t want to be forced to be a part of haha. The noise-cancelling aspect of these is amazing, but also the sound quality for listening to music or watching a movie is out of this world. I tried out liquid lipstick for the first time maybe two weeks ago. I wanted it for my trip to California because I knew I would be at a vineyard or in meetings or taking pictures all day and didn’t want to have to worry about reapplying lipstick every half hour. I tried a few different ones and I have to say this one by Stila is my favorite. (I got it in the colors bella, bellisima, and rosa). It literally stays on for hours even if you’re eating/drinking/talking, and the colors are so pretty. On an everyday basis I think I’m still more of a lipstick girl instead of lip stain (I mean these things are no joke. You have to truly commit to the color for like 8hrs because they do not come off), but for trips or events where you’re eating/drinking, this liquid lipstick is the way to go. I don’t know what it is about flying/traveling, but something about it always makes my eyes dry, small and puffy. A good eye cream is a must when traveling and this one from Kiehl’s is my favorite. It has Avocado in it which feels so hydrating and refreshing around your eyes! 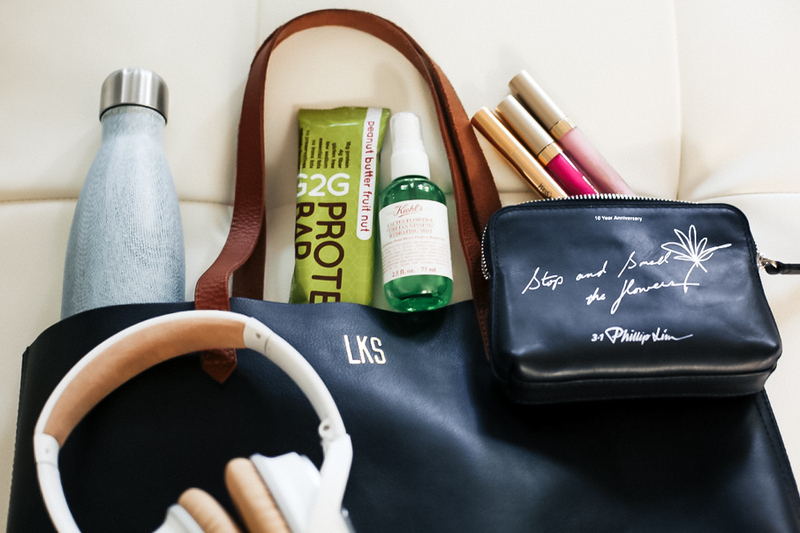 This hydrating mist is one of my favorite travel essentials – I am legit addicted to it (whether I’m home or traveling). You know when you wake up in the morning and your face just feels kind of stiff or dry, or when you get off the airplane and your skin just feels kind of dead or yuck? I spray this on my face either after a flight or in the mornings when I travel and my skin instantly feels so refreshed and hydrated. It just gives your skin a fresh, more awake look, and I love it! It might be kind of a pain to travel with a water bottle but I think it’s so worth it. First of all you can fill it up after you get through the security line at the airport, so you’re not spending $5 on a water bottle multiple times. Second of all, once you get to your destination you’re more inclined to stay hydrated and drink alot of water if it’s easy for you, and you have your own bottle with you. The s’well bottle is my favorite because it’s a convenient size and seriously keeps your water cold all day – it’s amazing! This might seem like a no brainer but this is one way I stay sane when traveling. I have a little cosmetic pouch inside my massive tote that has my essentials in it: the lipsticks I’m bringing on the trip, gum, sometimes I put my ID in there just for easy access, and any feminine products. Nothing drives me more crazy than digging through a black hole of a bag to try and pull out my gum! You might remember my post about this little stick of gold a few months back, and let me tell ya, that same stick is still going strong! It lasts FOREVER, so it’s definitely worth the money. This is not only one of my travel essentials, but life essentials as well haha. It is the PERFECT thing to put in the pouch of essentials I mentioned above, because the second your plane lands, you can dab this on under your eyes, highlight your cheek bones and underneath your brows to instantly look more awake and refreshed! You can use it as a concealer, a highlighter, or brightener and it will do the job well. SUCH a great investment and one of my favorite things in my makeup bag. I realized recently I have a slight obsession with totes. In my opinion they fall in the same category as Nike tanks – you can never have enough! This Madewell tote is my absolute favorite for traveling though because it is the perfect size, and has an inside pouch, so everything doesn’t just fall to the bottom! The quality of the leather is also amazing so I know it will last me forever! (I’ve had this one for over a year now and it’s still in perfect condition). Traveling with healthy snacks is a MUST! Don’t get me wrong, I love snacking on m&m’s at the airport just as much as the next girl, but having protein with you when traveling is a must. Not only is it better for you than candy, but it will actually fill you up, and keep you feeling energized and healthy for your trip. These protein bars are my absolute favorite because they taste AMAZING, use all natural ingredients, and have 18 grams of protein! You can use the code “KAY” at checkout to get 15% off! What are some of your travel essentials? I’d love to hear, because I’m always trying to find ways to make flying/traveling as organized, healthy, and enjoyable as possible! I absolutely love my S’well bottle! It keeps my drinks cold for so long! Also, have heard great things about the Bose noise canceling headphones! Great picks! Do you like the S’well bottles or Corkcicle the best?! i really like both of them! personally i think the swell is a little easier to drink out of though bc the mouth opening is a little bit smaller than the corkcicle. they’re both great though!